The Venus flytrap (Dionaea muscipula) is a carnivorous plant equipped with small traps that catch insects and is commonly sold as a houseplant. A popular myth suggests that since the insects it normally feeds on are rare indoors, it would wise to feed it little bits of hamburger to replace the missing prey. But don’t! Hamburger is too rich in fat and will give the plant the vegetal equivalent of indigestion, possibly leading to its death. 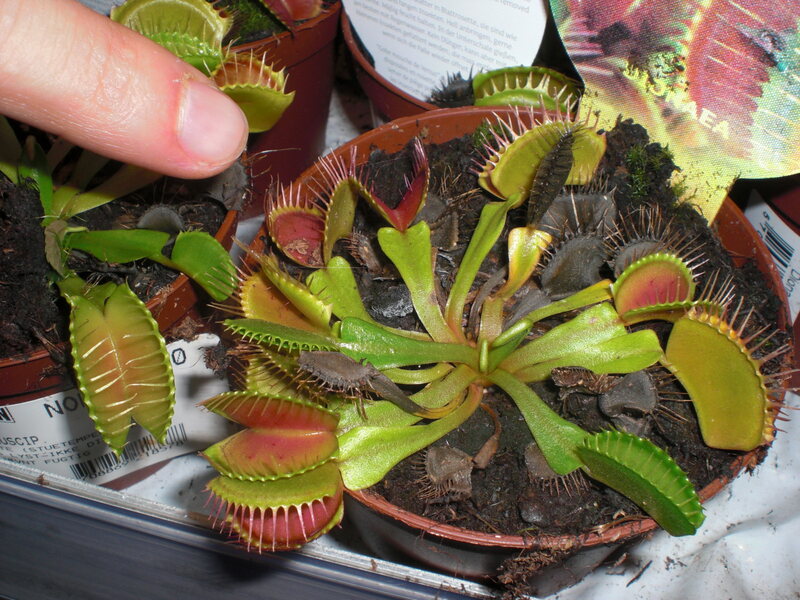 You can feed it with a fly or other small insect you’ve caught, or not at all, but not with meat… nor with fertilizer, which is toxic to the Venus flytrap as it is with most carnivorous plants. Even if your Venus flytrap never receives “food” in its life, it can still grow very well and survive for many months. After purchase, remove the plastic terrarium that covers it; it served to keep the plant in good condition during transport, but is not useful for the plant’s long-term survival. Since the Venus flytrap will not tolerate the calcium present in commercial potting mixes and in tap water, grow it in sphagnum moss (the medium it usually grows in when purchased) and water only with rainwater or distilled water. Keep the pot in a saucer filled with water at all times, because you’re trying to recreate the conditions equivalent to those of the North and South Carolina swamps where it originally grew. It needs maximum sunlight (it can also grow under a fluorescent lamp) and high air humidity. In winter, the plant goes dormant and usually loses much of its foliage. It must then be given a cold location that is free of lasting frost. Or if you live in a warm temperate climate (about USDA zones 8 or 9, or protected spots in zone 7), create your own rainfall watered sphagnum bog outdoors and grow it there year round. 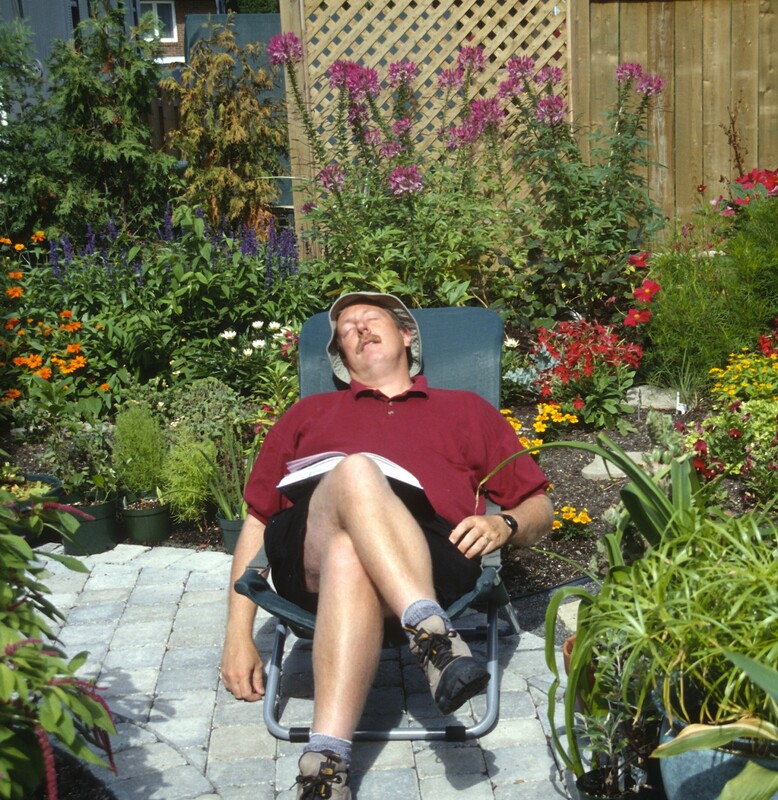 My suggestion as a laidback houseplant gardener? Consider the Venus flytrap a temporary plant. Give it the best possible conditions and encourage local children to come and bring it small insects to eat (children, being naturally sadistic, will adore the experience!) But don’t cry when it finally dies: it was simply not designed to live forever in a home environment. Leaky Saucers: On Sale Now at a Garden Center Near You!